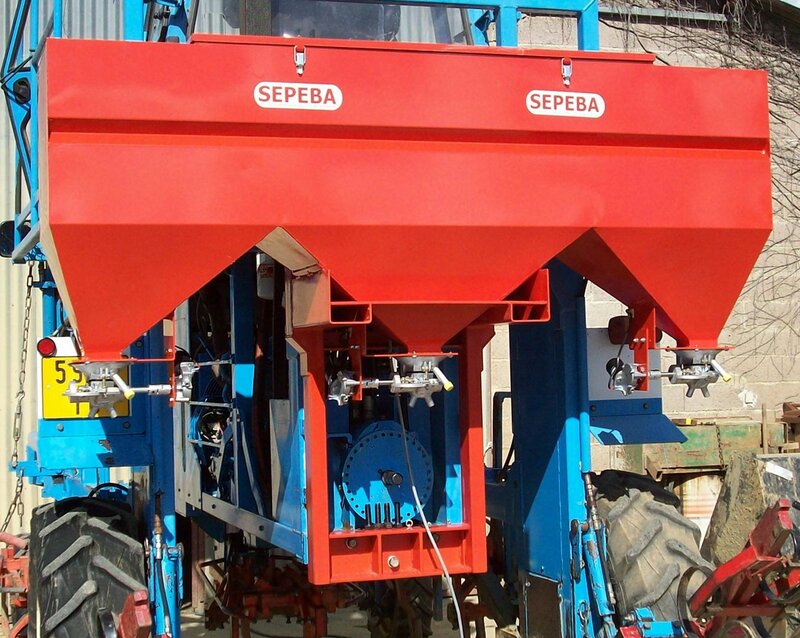 The SEPEBA Fertidoseur is a distributor designed to spread all kinds of mineral or organic fertilizer, even the organic « pellet type » fertilizer. 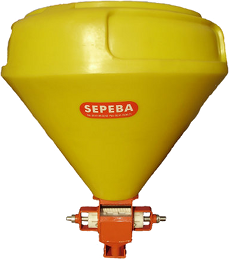 Its main point is its adjustable capacity rotor, a SEPEBA exclusive, which allows it to work in FPS (flow-rate proportional to ground speed) if required, and to be one of the most precise applicator on the market! 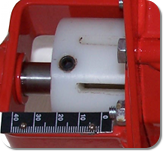 The dosage is set by simply shifting each metering unit using the graduated marks. 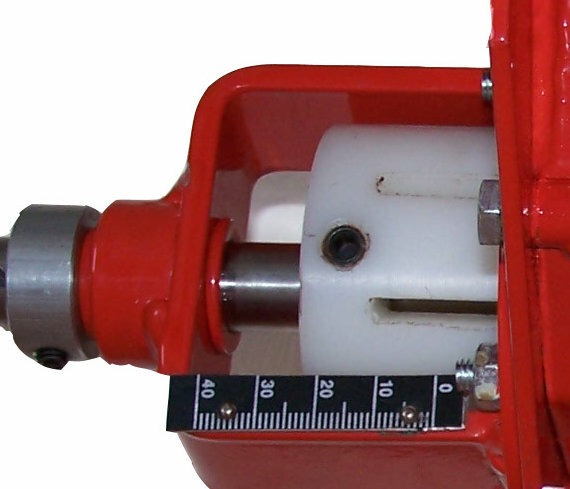 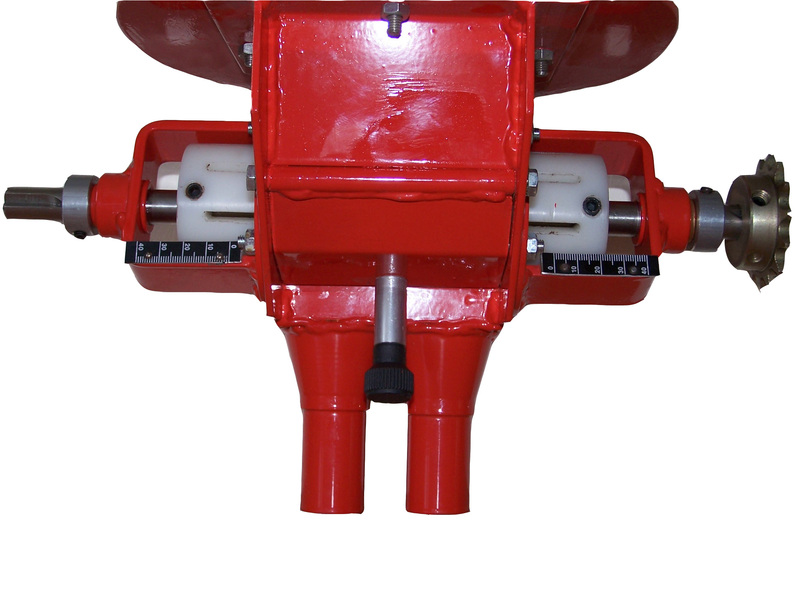 Each side of the rotor feeds an outlet, which gives a perfect regularity in the spreading. 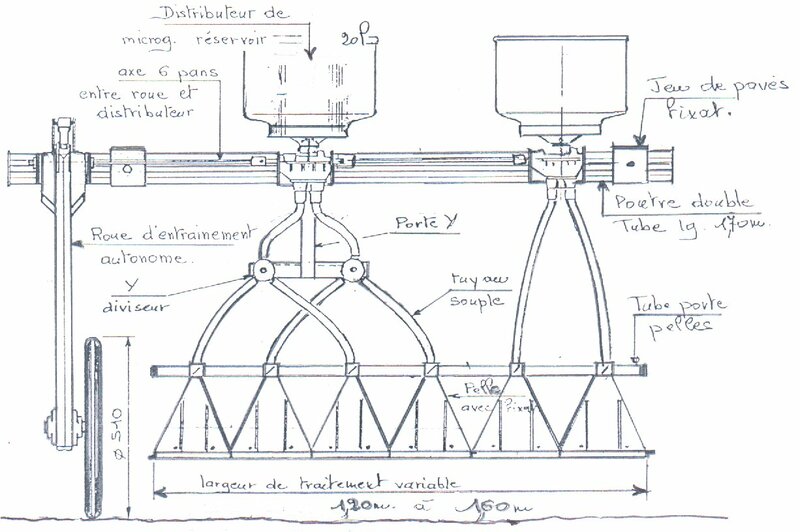 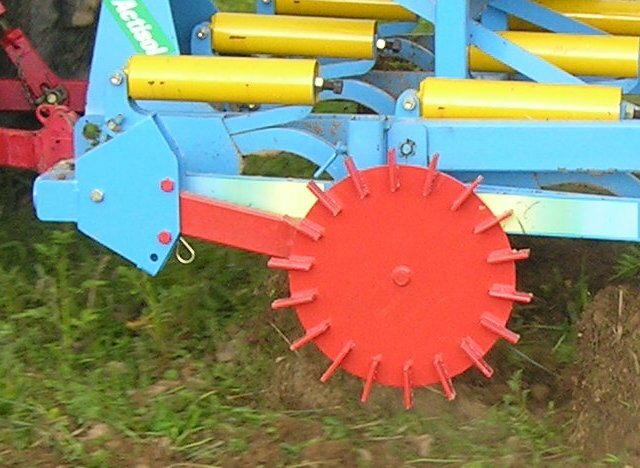 Each side of the rotor is set independantly, so if you split the hopper in 2 parts, you have even the possibility to spread 2 different fertilizers at 2 different flow-rate in the same time. 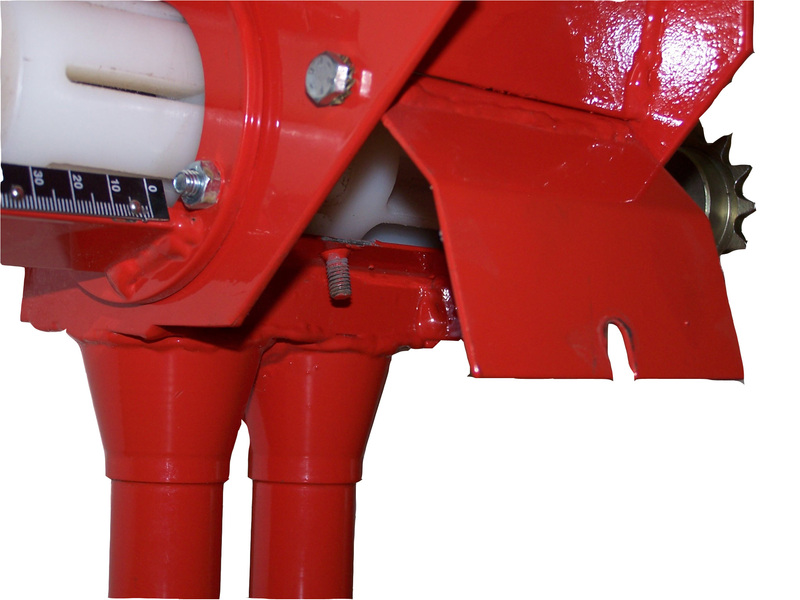 for spreading on bands or on entire surface, thanks to its adjustable aluminium spreading device. 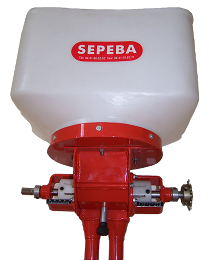 Thanks to its adjustable capacity rotor, the SEPEBA Fertidoseur can be powered by an 12 V electric motor - with an optional electronic variable speed control-, a FPS wheel, a FPS transmission system which transmits the motion from a seed drill, a planter… So it adapts to your needs… and your budget! 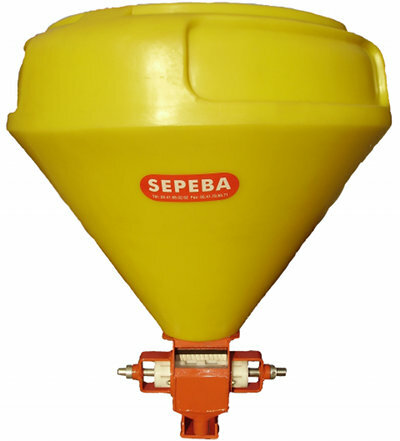 A very handy and accurate metering system, an easy to fill hopper, an easily accessible drain shutter allowing a total emptying in seconds without tools: yes we have taken care of all these details to increase your work comfort. 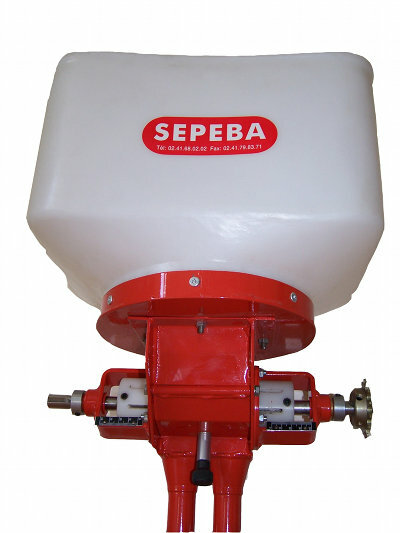 Also that is the SEPEBA spirit!